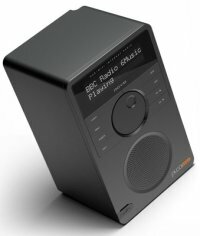 Revo of the UK has just unveiled its latest DAB radio tuner, the Pico RadioStation. Not only do you get to benefit from both DAB and FM radio broadcasts, the Pico also comes with the latent capability to stream both Internet and computer content over a LAN connection. What’s most interesting is the compatibility of this device with DAB+ (an improved radio standard with error correction) in addition to support for AAC+ compression. It is relatively safe to assume that the Pico is one of the first few portable tuners in the world possessing such technology despite a diminutive size that stands at 6.6″ tall. Other features include a 12-hour battery life, Ethernet and Wi-Fi connectivity, a 3.5mm headphone jack and RCA line-out, all packed into a splashproof shell. The Revo Pico RadioStation will retail for £170 when it hits the UK this September.